Thursday 2 February. Like yesterday, again a walk in the surroundings of Kotu. Where we saw this western reef heron and great egret. A pied kingfisher catches a small fish. 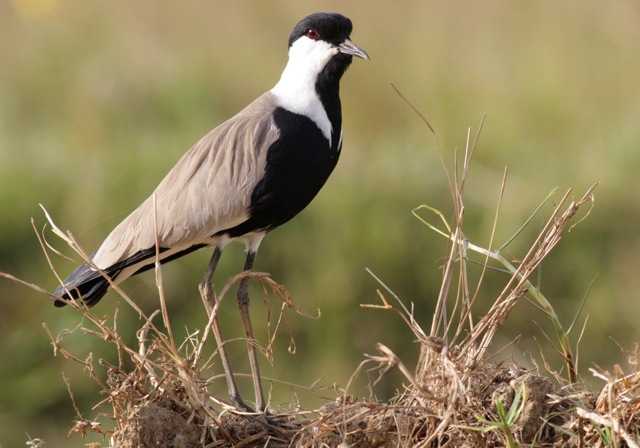 A spur-winged plover on a small beach. A squacco heron flies away. A black kite flying. Near the bridge, a greenshank wading. Senegal thick-knees on the bank. Whimbrel, redshank, on the river bank as well. 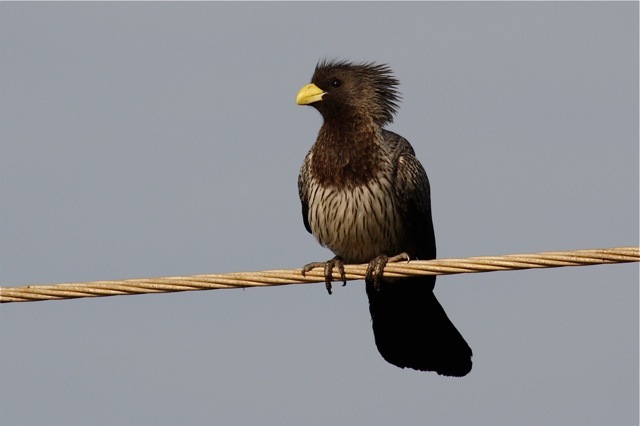 A western plantain-eater sitting on one of the wires across the river. 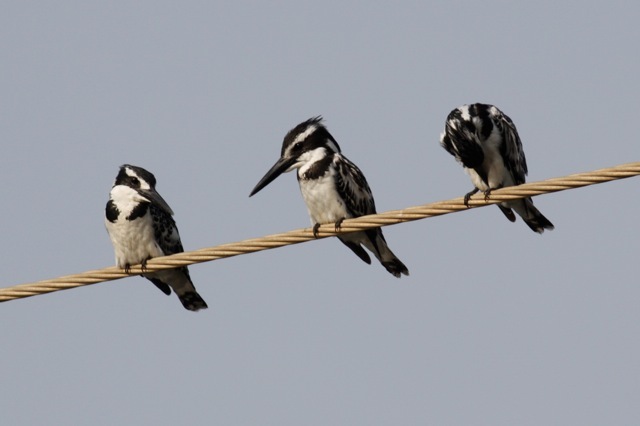 Pied kingfishers sit on those wires as well. Sometimes in groups of four birds, often looking down to see if there are any fish in the water. A grey plover on the bank. A yellow wagtail between the mangrove roots. A wire-tailed swallow sitting on a pole in the water. A grey-headed kingfisher on a fence. Long-tailed glossy starlings on a tree. Kotu Pond is really a sewage farm. Nevertheless, there are many birds. 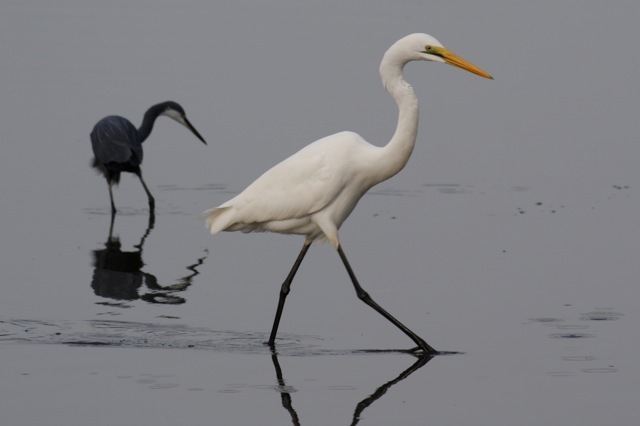 Including cattle and intermediate egrets. A little grebe swimming. White-billed buffalo weavers. A yellow-billed shrike. In the same tree, a bearded barbet. Back to the bridge. 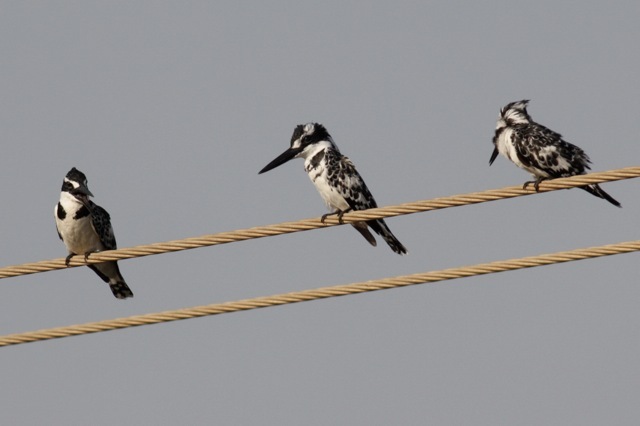 Blue-cheecked bee-eaters sitting on the wires now. A long-tailed cormorant diving in the river. We arrive at the building of the Gambian Birdwatchers Association. This entry was posted in Birds and tagged Gambia, photography, travel by petrel41. Bookmark the permalink.